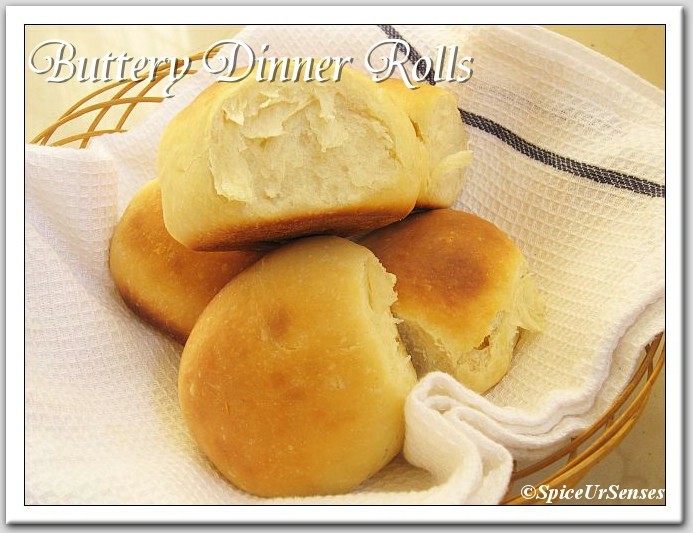 Buttery Dinner Rolls. 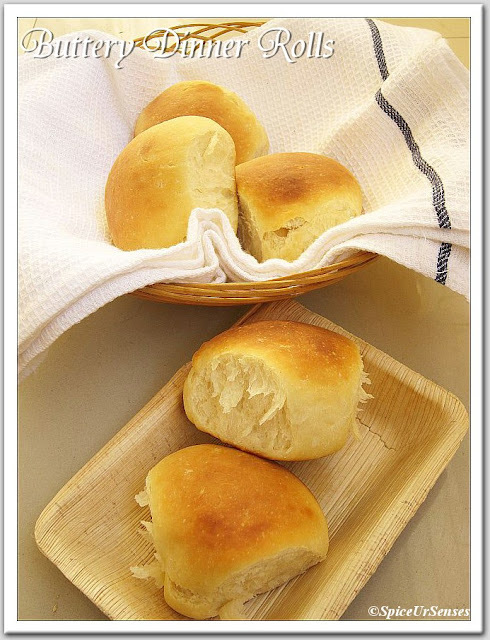 Every time when i use to see this rolls in others blogs, i use to always think that when will i be baking this rolls. After buying gloripan yeast, i really feel that i'm in heaven. Now my baking has become so so easy and better i have no words to say. When ever i bake i have a big smile on my face after seeing the result... All thanks to my loving husband for searching this awesome and perfect yeast for me and making me proud of my cooking skills. Actually i was planning to bake square rolls but i was having a small square baking tin only, so i decide to bake in round baking tin. You can choose the tin shape of your choice.. Warm the milk to lukewarm (not hot) and add the butter to it so that it melts in the milk. Set aside. Mix yeast and water together along with sugar. Give it a stir and set aside until frothy. Now add the salt and milk+butter mixture to the yeast and stir well. Slowly add the flour to this mixture until slowly incorporated. It will slightly sticky - dont add in more flour until really necessary. The stickiness will be replaced by smooth elasticity while kneading. On a lightly floured surface, knead the dough very well, it will take about 8-15 minutes!!!! Place the dough on a lightly oiled bowl and cover it with a plastic wrap. (or damp towel). Place it aside in a humid place until doubled. Turn out this dough on a floured surface and roll it out into a square. Using a knife cut it into 6 pieces. Roll each piece out in your palm to form a rounded shape. Place them side by side on a baking round cake tin (or as the shape baking tin you want). Place them aside once again to double. Its fine if they dont look perfectly round. They will take a beautiful shape once they double again. They will also stick to each other once doubled giving that great roll shape. Now bake them in a pre heated 180c oven for 20-25 min or until golden brown. Cool them for few minutes before serving them. 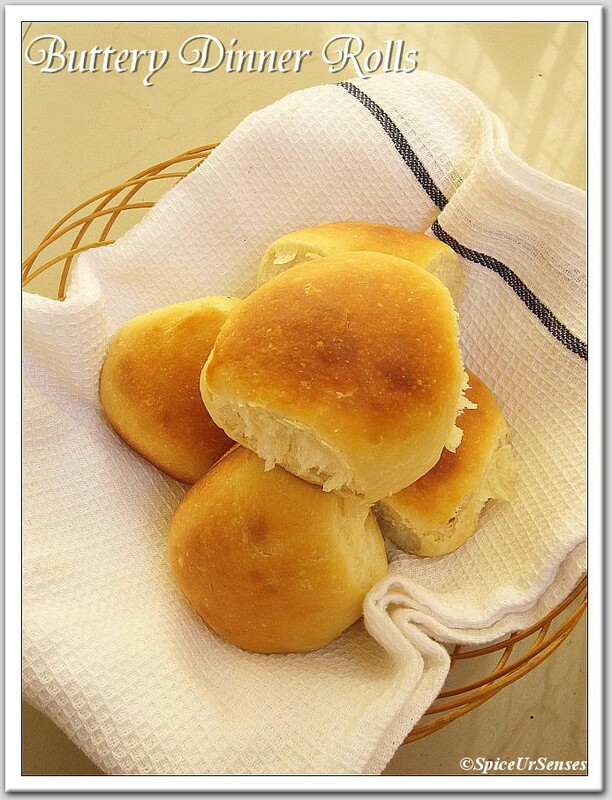 Dinner rolls loos moist and tasty..Love the clicks dear!! 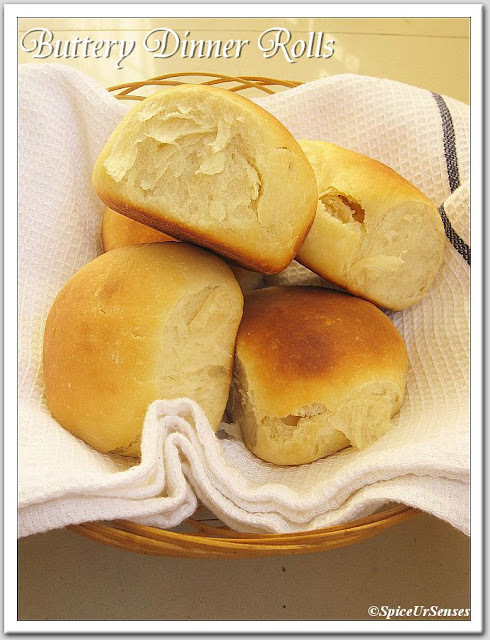 wow... dinner rolls look amazing... perfect!! Indeed soft and buttery..can't wait to hand it ...Thanks Rumana. that looks yum n mouthwatering! 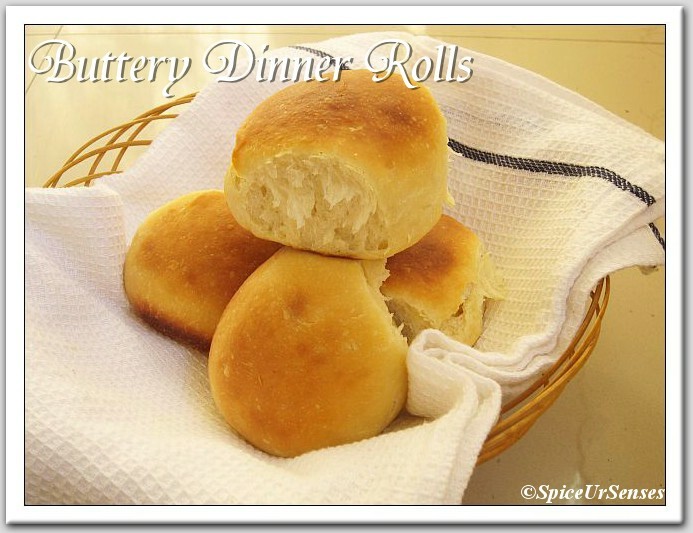 Dinner rolls look awesome..luly clicks. They look super soft. Nothing like fresh homemade baked stuff, right? You can enjoy the lovely flavours as it bakes too. I cοulԁn't resist commenting. Perfectly written!